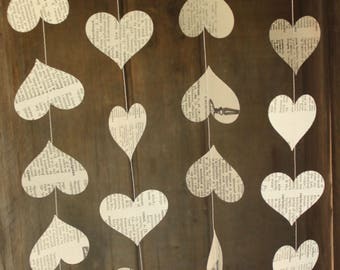 Paper Garland made from TINY triangles - 10 feet long. Dear US Customers: I ship from Canada. Please allow 10 business days for your order to arrive. Thank you! 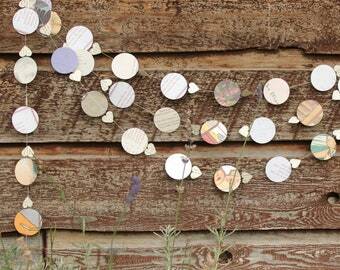 This super cute garland is made of TINY triangles handpunched from a vintage book. 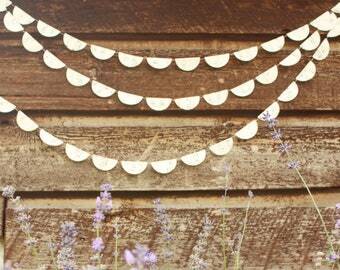 These garlands make great party decorations or would look pretty hanging over a window or bookshelf. 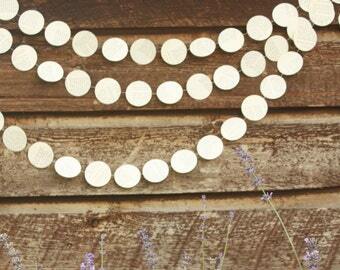 Each little triangle is 1" across, and the garland is 10 feet long. 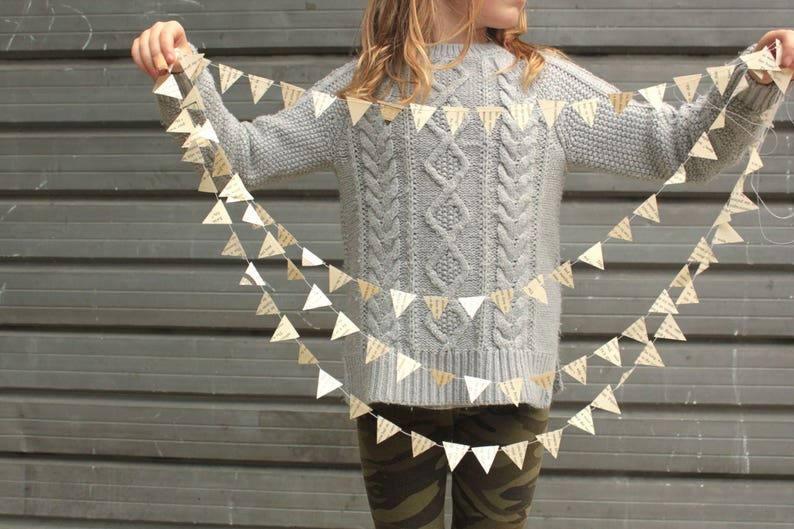 It has been run through my sewing machine and there is enough thread at the end of each garland to tie together or hang up. So cute and so nicely packaged! Great experience and happy with my purchase!